So if its drying up a bit, do I just spray the top with water? or would it be better if i got the LFS moist instead? An experienced grower told me to keep them damp, but not sitting in a saucer of water. 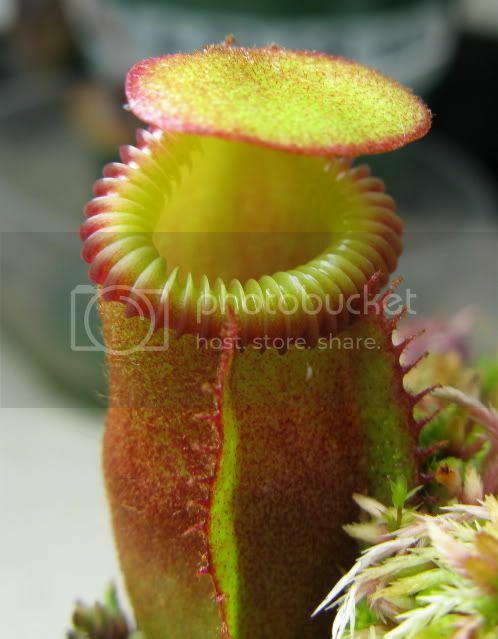 I have mine on a very cold basement windowsill, and I spray them with water about once a week, until the soil is good and damp, but not dripping. 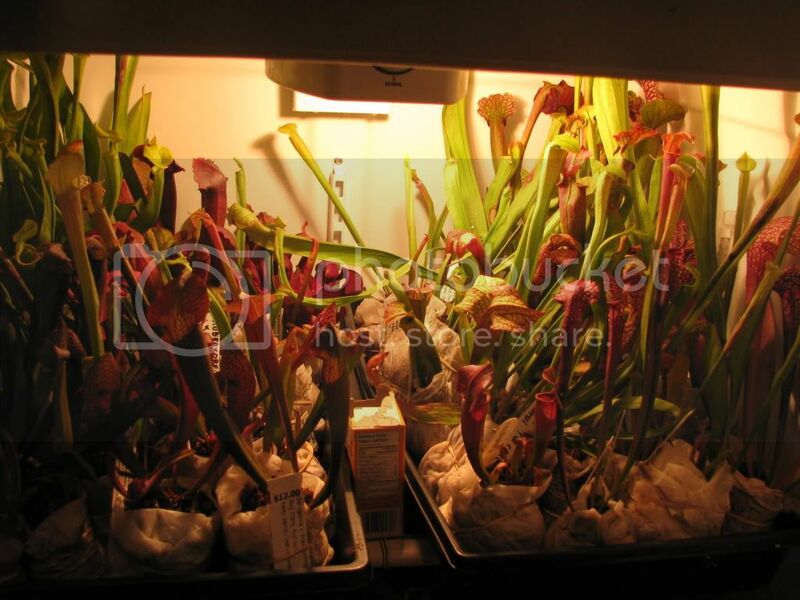 I've had one or two pitchers go black, but I don't think it's a problem, In the spring you'll get lots of new growth. With the No-Damp I spray the plants and it get the sphagnum wet from run off. 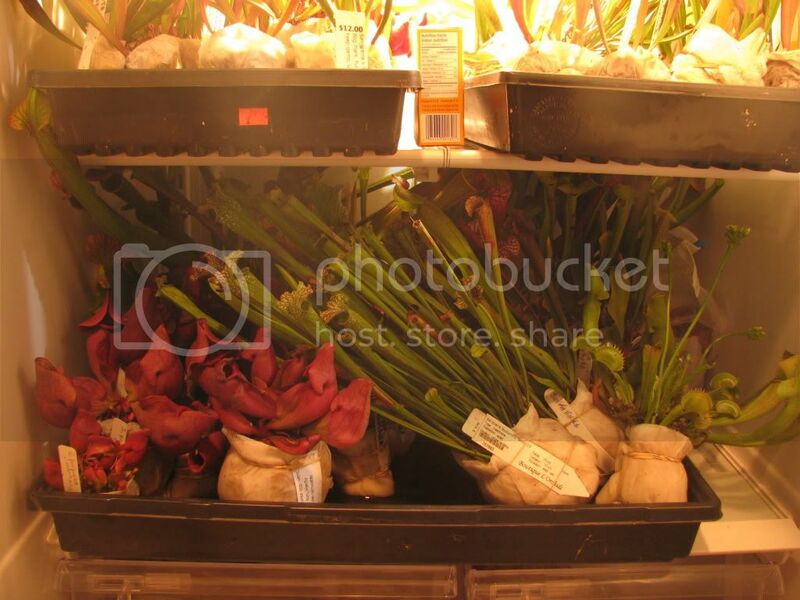 As long as the sphagnum is wet, the humidity will be high enough so the plants won't dry out. 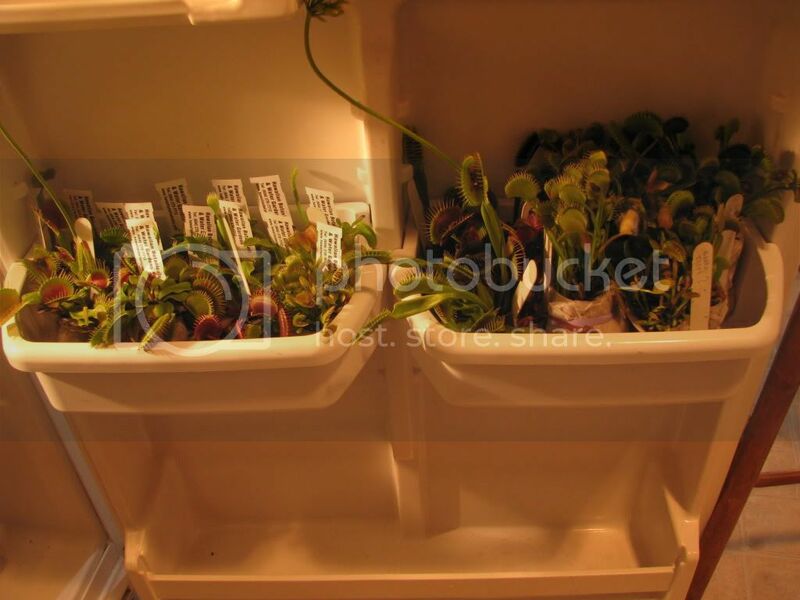 When are you planning to remove your vft's from the fridge and pot them up again. Just curious what the timeline was on this. Thanks. Well I usually wait till almost mid to late April (last year I waited till almost June) but I may do it early this year cause it seemed a bit late last year. I may do it at the begining of April to give em a jump start! Woke up my vfts and sarrs 2 weeks ago and it's already showing new growth. Thanks Rug for the tutorial! Ok I just took them out of dormancy last week. It was also the first time I looked at them since the last time I took pics and trimmed. There was some mold on dead leaves but other than that I never lost even one plant! I potted them up in temporary pots and put them in my indoor greenhouse to wake them up. 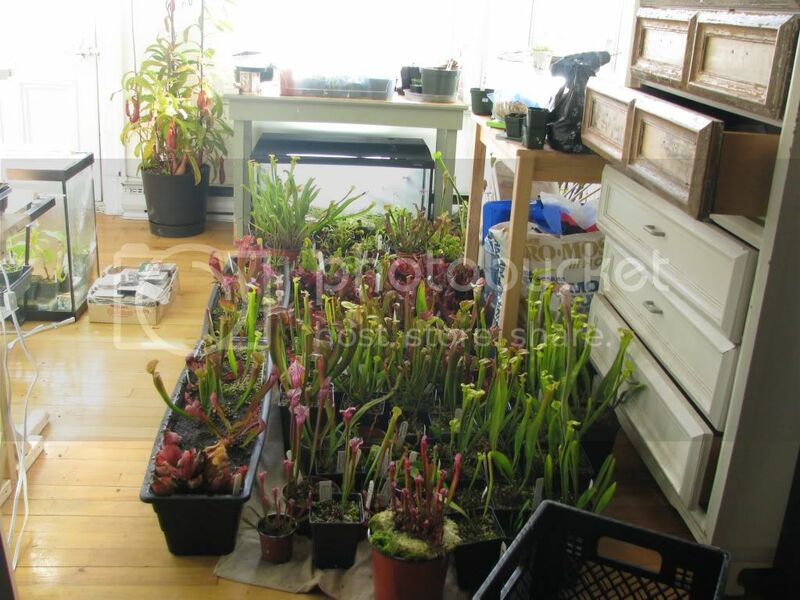 They will be going outside into their summer homes by mid May. Cheers to all and thank you very much for your intrest, questions and thanks. Its much appreciated! Feels good to know that you can help other out! As a side note, I took my VFTs out last month, they are doing good! 2 flower stalks 6" high already (B52 & Red Dragon)! For my sarr's I did the same, they are taking a lot longer to come back. All are in full sun in a south window. No pitchers open yet, but hopefully soon! This has been great - thanks! 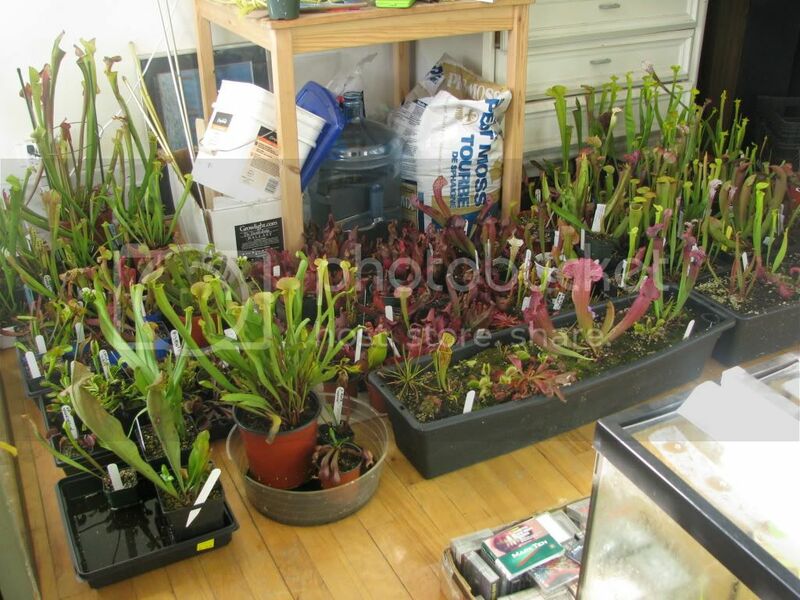 I am going to wait til my VFT is done with the crickets I fed it then put it into dormancy til the beginning of April. and what about using wet scottowel instead of LFS? 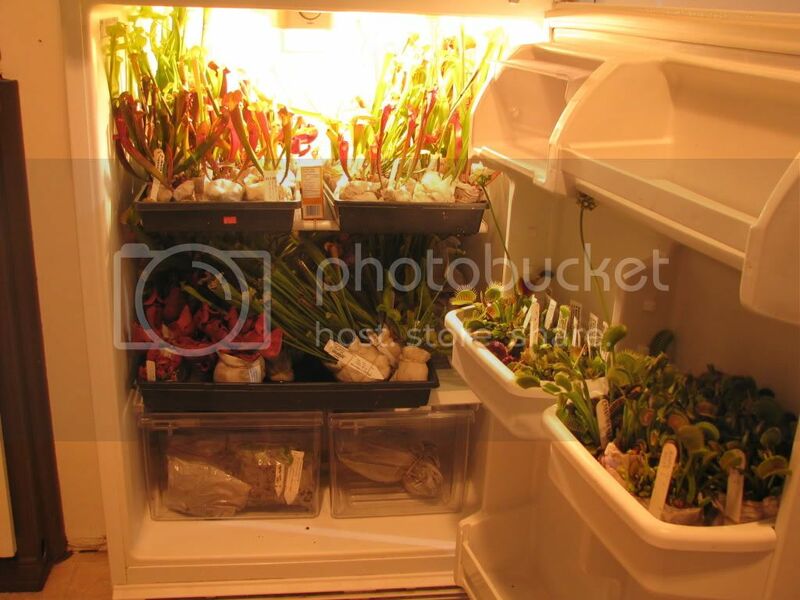 got my sarracenia and vft inside yesterday. did not have any place for them so i sent them straight to the fridge. maybe a bit early but last time i left them in my room, i got mildew.i had to cut everything down this summer and use sulfure to get rid of it. i used wet scottowells instead of bags. I bought a fridge to my girlfriend for food. this what i did last year and worked well, no mold and no damp except for seeds. yeah, it was falling down and taking too much place.